Noun A word that names a person, place, thing, or idea. 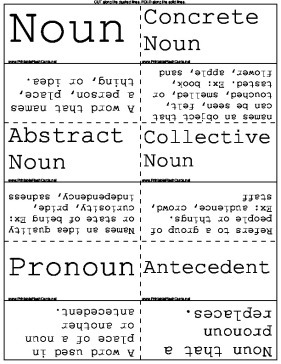 Pronoun A word used in place of a noun or another antecedent. Antecedent Noun that a pronoun replaces. Intensive Pronoun Adds emphasis or intensifies a noun or pronoun Ex: The wait (itself) would take hours.